Revealing some myths and facts about flu. In the summer influenza is at its peak. However, many people are confused in its treatment because of the existing myths about it. 1.It’s a little more severe cold. In principle, all respiratory infections are caused by viruses or bacteria. 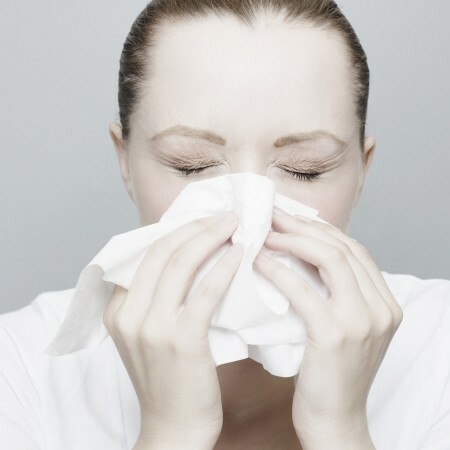 A “cold” refers most often to fever (rhinitis). It is caused by over 200 viruses, but they have nothing to do with influenza viruses. Not surprisingly, it starts by affecting the whole organism.This is the release of toxic free radicals in the collision of the virus with the immune system. Therefore, the influenza virus affects all organs and systems. 2.Cold weather kills influenza viruses. In fact, the mechanism of transmission of influenza – in airborne, excludes prolonged exposure to viral particles at low temperature. When in the street or on the bus someone sneezes and coughs ill against you, you inhale viruses before they are destroyed by the low temperature. Cold weather may delay the development of influenza simply because more people stay at home and avoid public places where the risk of infection is higher. 3.If last year you had the flu this year you can not be infected. Unfortunately, it is true! If so, there would be a permanently acting vaccine. Influenza viruses are among the most volatile and every season, new strains appear. In a strain of the illness the body produces resistance against it, but there is no guarantee that you will not infect another type of virus. Even in the same season, one can repeatedly suffer from influenza. 4.Influenza vaccine can cause influenza. This can not happen because the vaccines do not contain targets and active viruses, but only certain inactivated viral particles, which activate the immune system to produce specific antibodies.After the administration of vaccines it is impossible to feel bad for 1-2 days, but this usually stops without treatment after a few days. I hope you find my article useful.